Lecia is a New York State licensed Family Nurse Practitioner who has extensive experience in the emergency medicine and orthopedics. Lecia completed her post master’s degree at Mount Saint Mary College as a Family Nurse Practitioner in 2015. 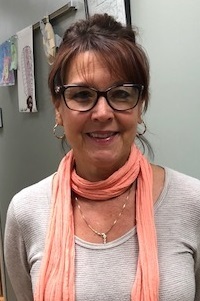 She graduated from SUNY Dutchess as an RN in 2001 and moved on to Vassar Brothers Medical Center performing duties on Emergency Staff and as Charge Nurse. After completing her FNP degree, she has joined Westchester Medical Center’s orthopedic unit as an FNP. Currently, she is picking up Per Diem shifts at Emergency One and can be found working in any of our facilities in Kingston, Hyde Park and New Windsor.